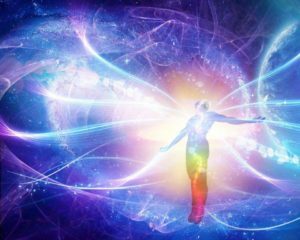 As we attempt to draw closer to them, to the heavenly kingdom, to that Divinely Reality, where you become more and more aware of our nothingness. That Allah ‘Azza wa Jal’s Greatness beyond imagination. We pray that Allah ‘Azza wa Jal grant us His Divinely Forgiveness and Divinely Lights. InshaAllah from the understanding of the lataif ul Qalb and the levels of the heart, that moves like an hourglass, from the qalb (First Station). For us to understand upon the body; I’m moving from left the qalb (First Station) [Shaykh points to left of chest] to right to the  Sir (Second Station) [Shaykh points to right of chest], back down to Sir-Sir [points to the left of abdomen], then to  khafa  (Fourth Station) [Shaykh points to right of abdomen] and then back to the akhfa [Shaykh points to middle of abdomen]. Then it starts again at  qalb [Shaykh points to left of chest]. So like a figure 8 across your chest. 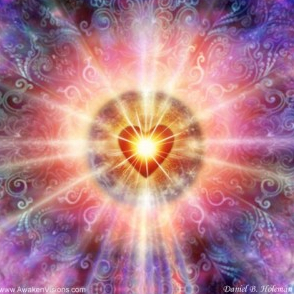 From that reality of the heart in which every reality is within that reality, it is not only understanding and unveiling our heart, because we negate that we are nothing. That, ‘My heart is a imitated heart, ya Rabbi; I’m not claiming that anything lies within me, but I’m asking to negate myself.’ And the only heart that counts is the heart of Sayyidina Muhammad (sallallahu alayhi wa sallam). This is a ma’rifa into the heart of Prophet (sallallahu alayhi wa sallam). This has nothing to do with us. Sometimes the inner self may be something to understand, especially in the way of the  ma’rifa (Gnosticism), that you focus upon your heart and you realize your heart is but nothing. That, ‘I’m nothing, I’m like epsilon, the dot in non-existence.’ Then, who’s heart is counting? It is the heart of Sayyidina Muhammad (sallallahu alayhi wa sallam). There is no place that you are going to die and that you are going to see Allah ‘Azza wa Jal, la sharik [Allah has no partner]! When Allah ‘Azza wa Jal has a Divinely Kingdom, has a Kingdom of Light. That Kingdom of Light has a palace of a heart: central command. This understanding of lata’if ul qalb is a story in the heart of Sayyidina Muhammad (sallallahu alayhi wa sallam). So we teach it from ourselves, but it’s reality is in the ma’rifa of Prophet (sallallahu alayhi wa sallam). 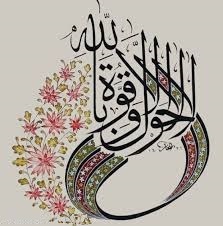 The Zikr is the SubhanAllah wa Alhamdulillah, La ilaha illallah, Allahu Akbar; and then at the akhfa: la hawla wa la quwwata illa billahil ‘Aliyil ‘Azheem. That how these zikrs and the importance of the reality of that zikr in the Muhammadan heart that we are trying to reflect. Means Prophet (sallallahu alayhi wa sallam) described that, ‘We are a mirror,’ that the believer is a mirror to his brother. The greatest mirror in the Divinely Presence is Sayyidina Muhammad (sallallahu alayhi wa sallam) reflecting all of Allah’s realities. This haqq (truth) of Allah ‘Azza wa Jal that is reflecting to the haqq of Prophet (sallallahu alayhi wa sallam). 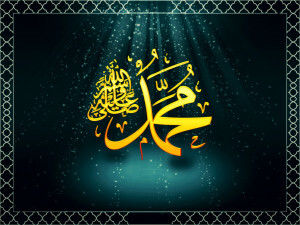 Prophet (sallallahu alayhi wa sallam) is the manifestation of Allah’s Haqq, because you’re not going to see Allah’s Haqq. There is no sharik (partner). So the apex of truth is the light of Prophet (sallallahu alayhi wa sallam). For that light of Prophet (sallallahu alayhi wa sallam) to reflect, it can’t come to something false and it can’t come to something dirty. So as we begin to clean and purify, clean and purify the heart, then the  Haqq of Allah ‘Azza wa Jal, the haqq  of Sayyiduna Muhammad (sallallahu alayhi wa sallam) begins to reflect. So you think it as your heart but in reality you are non-existent. It’s the heart that counts is the heart of Sayyidina Muhammad (sallallahu alayhi wa sallam). 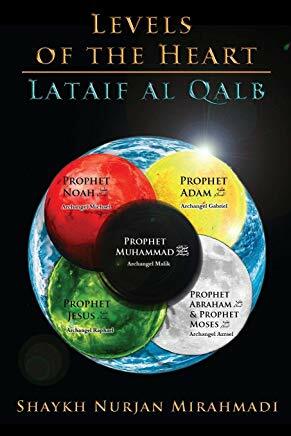 So this way of ma’rifa and the understanding of the lata’if ul qalb is the doorway into the presence of Prophet (sallallahu alayhi wa sallam). So that’s why you can understand the lata’if in the understanding of the Companions. So Prophet (sallallahu alayhi wa sallam) described: “who knows himself will know his Rabb”. “Who knows himself will know his Rabb” means ‘come through this door; you will begin to learn who Prophet (sallallahu alayhi wa sallam) is. 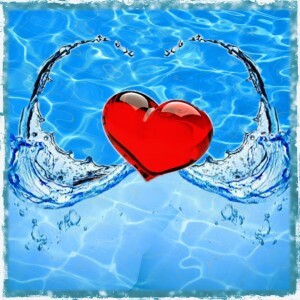 The Muhammadan heart is the heart has all realities. Then from the qalb (First Station) to the Sir (Second Station), and the  Sir  is the station of prayers, the station of vision. To the Sir-Sir (Third Station), which becomes the station of lights, the stations of purity, to the khafa (Fourth Station), which is now the rising into the heavenly dimensions all the way to the akhfa (Fifth Station), which is the Divinely Presence and annihilation. The zikr of SubhanAllah at Qalb [gestures to left of chest], wa Alhamdulillah at Sir [gestures to right of chest] wa La ilaha illallah at Sir Sir [gestures to left part of abdomen], Allahu Akbar at Khafa [gestures to right of abdomen]; and center Akhfa, La hawla wa la quwwata illa billahil ‘Aliyil ‘Azheem (There is no Support and no Power except in Allah, the most high), in the hand of Prophet (sallallahu alayhi wa sallam): hawla and quwwa (support and Power). Means then that everything in the Muhammadan way is beginning to teach; that Sayyidina Adam (as) is at the station of qalb (First Station). So Prophet (sallallahu alayhi wa sallam) wants to teach that: ‘My heart has the secret of all these messengers because they represented by message’. There’s only one messenger of Allah ’Azza wa Jal: La ilaha illallah, Muhammadun RasulAllah (saws)  (There is no God but Allah, Muhammad (saws) is the Messenger of Allah. 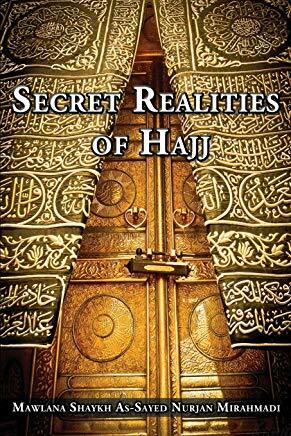 So the message that all the prophets brought was a message from within the secrets of Holy Qur’an; means all kitabs (holy books) can be found in the reality of Holy Qur’an. So then Sayyidina Adam (alayhis salaam) has a reality in the heart of Prophet (sallallahu alayhi wa sallam). Then you go from Sayyidina Adam (alayhis salaam) to Sayyidina Nuh, and faith and iman, Sayyidina Ibrahim and Sayyidina Musa (alayhis salaam), the faculties of faith; now divine hearing, divine seeing is beginning to open, Sayyidina Isa (alayhis salaam) and the mi’raj and the uplifting towards the heavens; and Sayyidina Muhammad (sallallahu alayhi wa sallam)’s haqqa’iq and realities in the akhfa, means now you are entering into that presence. [But before Sayyidina Adam (as) was created], there was another teacher. There was an imam called Shaytan. His `uloom and knowledge was something that he acquired it himself. This is an important understanding for myself always as a reminder, that the `uloom of Azazeel which he was teaching himself acquiring knowledge and from dunya he was elevating with that knowledge towards the samaa (heavens). That he had learned many things and had prostrated everywhere. They say wherever you walk there is a prostration from Shaitan, that he had prostrated in every place of this Earth. His worshiping was very strong.He started to seek his knowledges where he was training himself and he was acquiring those knowledges. As a result this knowledge, he was moving towards the Heaven and he would begin to teach the Malayikah. This is an important understanding, that the Malayikah were impressed by the knowledge that Shaytan had. At that time he was not (yet) Shaytan (Satan), he was a jinn. 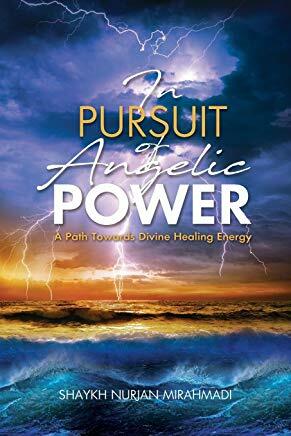 He had acquired a tremendous amount of knowledge and the Malaikah (angels) were learning from his knowledge. –It means they had shak, they had doubt. Who did they get that shak (doubt) from? From their teacher. That is why Allah (Azza wa Jal) is warning: `I am going to raise you with your imam`because your imam is dressing you with his character, dressing you with his akhlaaq (manners), not only dressing you from his `uloom, his knowledge. Because the knowledge, maybe everybody has a certain level, but the characters and the manners are going to be dressed upon that person. Are you going to be a rude person with the knowledge that you have? If that imam is rude he will teach you how to be rude. 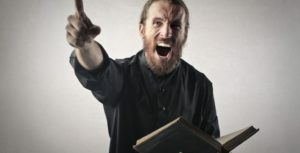 If that imam is vulgar and harsh, then he will teach the jama’ah (community) to be vulgar and harsh. He is multiplying his character wherever he goes. It means for us it is a tremendous warning, and a tremendous understanding, that not only knowledge is being conveyed to me, but more importantly it is the character because I watch the character. I watch how he is acting, how he is talking and how he is interacting with people. Does he think that people are below him, and that there are other people above him? Or does he think he is the lowest and that he is here to serve Allah (Azza wa Jal)’s Creation? Not to judge them! The first of usool (jurisprudence) is not to judge, Not to be Sharik (partner with Allah). This is the biggest shirk, to come sit and judge Allah’s Creation. Allah (aj) created that creation, we are here merely to be a khadim, a servant of Allah (aj), inshaAllah if He accepts us. –They begin to teach that when Shaitan is teaching Malayikah, the angels begin to have doubt and shak. And when Allah (Azza wa Jal) had enough, He knows His Creation and what Shaytan is doing. He knows the `uloom (knowledges) with which Shaytan is raising himself with. Allah (aj) says: I am going to show his `uloom in one shot. In one test I am going to send him and it will show his entire knowledge that had no yaqeen (certainty), it was just empty knowledge. 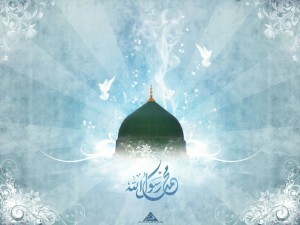 If he had yaqeen he would have known the light that is within Sayyidina Adam (alayhis salaam). As soon as Allah (Azza wa Jal) brought the creation of Sayyidina Adam (alayhis salaam). Put into him from that breath. That was what breath? It was from Noor Muhammad (sallallahu alayhi wa sallam), where the Hadith of Prophet (sallallahu alayhi wa sallam) said: I was a Rasul before Adam was between clay and water. That Khalifah is going to be the supreme Khalifah, he is going to be the Mu’allim (teacher), because this is the light of Sayyidina Muhammad coming in. 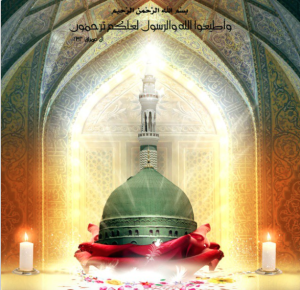 As soon as the light entered into Sayyidina Adam (as), ‘Allama isma kullaha. Allama isma kullaha`, means that light “allamal quran khalaqal insaan” is already filled with the light and knowledges of Sayyidina Muhammad (sallallahu alayhi wa sallam), because he was a Rasul before, so Allah (Azza wa Jal) had already taught allamal Qur’an, khalaqal insaan, all the knowledge to Prophet Muhammad (sallallahu alayhi wa sallam). So Noor Muhammadi went into Sayyidina Adam (alayhis salaam). Immediately Malayikah (angels) saw that light and they went into sujood (prostration). The knowledge and the light, the blessing of this light, they understood its reality is from a hijab that they don’t have access to. That is why on Isra wal Mi`raj Sayyidina Jibreel said, “We have a had (limit), we don’t go beyond the had or we become non-existent.” They saw that light from the had coming into Sayyidina Adam (alayhis salaam). That the physicality of Sayyidina Adam (alayhis salaam) was created for the mulk (earth), to bring the realities of malakut (heavens). It was just a stopping in malakut to go down to where- the mulk, and was bringing the haqqaiq and the lights that Allah ‘Azza wa Jal had not exposed yet. So we have talked about that at the last Shaban (8th Islamic Lunar Month). So means then now, what we are understanding, Isma kullaha, this is the baab (door) of knowledge, where Allah ‘Azza wa Jal says, ‘You want Isma kullaha, you want all the realities’, that Sayyidina Adam is merely a vehicle or vessel that contained; he is bringing all the realities of Sayyidina Muhammad (sallallahu alayhi wa sallam). Nur ul Muhammadi is the light that dressed Sayyidina Adam (alayhis salaam), that the angels were in awe of that light that they had not seen but they know that it came from behind a veil of the Divinely Presence. As a result of the ihtiram, they made sujud. They bowed down for the ihtiram and the respect of that light, that they knew it to be from Divinely Presence. Then this opening of knowledge from Sayyidina Adam (alayhis salaam) is inspiring within the heart that: you want Isma kullaha, that the angels were astonished by this knowledge. Say Subhanallah (Glory be to Allah). That’s what Allah is saying: “Qalu subhanaka,” - ‘Glorify Me’ because this knowledge that I bestowed, Allah ‘Azza wa Jal Wants to show, ‘You want this knowledge’ because the angels and everything in malakut want knowledge; they want realities, they are fed realities. What they were being fed was nowhere in proximity to that knowledge because this is now from the deep haqqa’iqs of Sayyidina Muhammad (sallallahu alayhi wa sallam) is coming. So RasulAllah (sallallahu alayhi wa sallam) has always been, it’s eternal. Rasul (messenger), ‘I’m the one who speaks for Allah ‘Azza wa Jal. 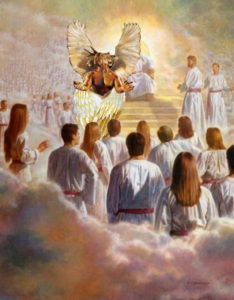 I speak throughout the heavens. I teach throughout the heavens’. 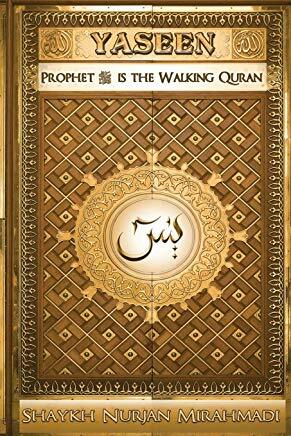 The Rasul teaches; Allah ‘Azza wa Jal teaches the Rasul, not teaches the insaan. Nobody can carry the Speech of Allah ‘Azza wa Jal. 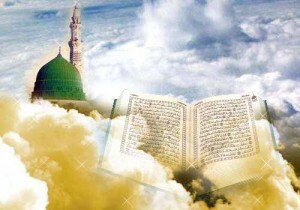 The Rasul (sallallahu alayhi wa sallam) is eternally created to deliver the message of Allah ‘Azza wa Jal. Then (Allah) is clarifying that: you want this, you want these realities? Allah is saying, ‘Say Subhanallah‘. [Audience says: ‘Subhanallah’]. Means that maqam of Subhan is then they become the angels, ‘I want to bring these uloom and the knowledges into the heart,’ because now you have to reflect the Divine Presence. You have to reflect the malakut and the heavenly lights of heaven that: make a life in which you are glorifying Allah ‘Azza wa Jal at every moment of your life. Because now you want to enter into these realities. You can not enter the reality if you are not making continuous Subhan (glorification). If you are not continuously glorifying Allah ‘Azza wa Jal, because the next maqam is going to be hamd (Praise). What was Allah’s Glory that Nabi Musa saw? It was the light of Sayyidina Muhammad (sallallahu alayhi wa sallam). 124 000 prophets appeared and Sayyidina Muhammad (sallallahu alayhi wa sallam) in front and opened a deep reality that Allah’s Glory is His Creation; and the best of His Creation is Sayyidina Muhammad (sallallahu alayhi wa sallam). He is an immense treasure of creation. ‘I sent that treasure for you. Did you find it? If you found it, glorify Me day and night because I guided you to that reality’. [Audience: SubhanAllah]. Who Taught the Realities to Sayyidina Adam and Other Prophets? ‘Nobody can contain My Qur’an. So when I speak it’s Qur’an’. Nabi Musa doesn’t have Qur’an; Sayyiduna Isa doesn’t have Qur’an; Sayydiuna Nuh (alayhis salaam) has no Qur’an. None of them can contain that Qaf. Means then all those realities of akhfa (Fifth Station) were teaching Sayyidina Adam (alayhis salaam) in the qalb (heart), in the lata’if al-qalb (First Station). It means that, ‘You want Isma kullaha, the one who taught me all realities is about to teach you’. Allah ‘Azza wa Jal describes the reality of Prophet (sallallahu alayhi wa sallam), that he was taught by someone Shadid al-Quwwa, in Surat al-Najm. Surat al-Najm is Allah describing Prophet (sallallahu alayhi wa sallam)’s reality. He is one whom been taught by Shadeed al-Quwwa. 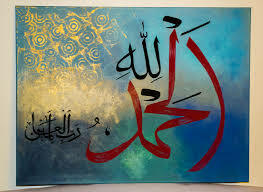 Is Allah describing Himself, as the Creator: ‘I’m the One of Immense Power. This companion of yours been taught by My Reality. You have been taught by his reality’. This is ihtiram and respect, that Allah ‘Azza wa Jal Shadeed al-Quwwa doesn’t teach you; teach you Sayyidina Muhammad (sallallahu alayhi wa sallam). We be taught by Prophet (sallallahu alayhi wa sallam); not even by Prophet (sallallahu alayhi wa sallam), by olul amr: “ateeullah atee ar-rasul wa oolul amirn minkum“. So means that, SubhanAllah, a life of SubhanAllah, glorify Allah ‘Azza wa Jal. Awliyaullah (saints) come into our life that: glorify Allah ‘Azza wa Jal for everything but most of all, for sending us to Prophet (sallallahu alayhi wa sallam), for having the love of Sayyiduna Muhammad (sallallahu alayhi wa sallam). Then you know why Milad an Nabi (saws) (Celebration of birth of Prophet Muhammad (saws), is so important; the mahfils (associations) are so important, and the circles and the halaqas of zikr are so important. If everybody loves paradise, how come they are not coming to the circle of paradise? He replied: “The circles of dhikr. There are roaming angels of Allah who go about looking for the circles of dhikr, and when they find them they surround them closely. 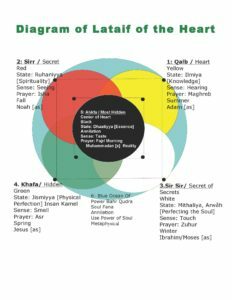 They call each other and encompass them in layers until the first heaven – the location of which is in Allah’s knowledge. They are sitting on the couch and having popcorn. So then the people who run to the circle of paradise, they must really love to be in paradise. Allah ‘Azza wa Jal exhibits, ‘Your life in this dunya was always in My circles of paradise. Imagine your life in My Aakhirah (hereafter)’. If in the dunya you were always in the circle of paradise, imagine your aakhirah reality. Then you know what Allah ‘Azza wa Jal is dressing from a ni’mat (blessing). Then, they take us to the sir (Second Station) [gestures from left of the chest to the right of the chest] and the secret, and later on go back and read all of these different lata’ifs because we’re putting the book together, so we are putting all of these out so that it can go into that book. The sir and the secret of faith that Sayyiduna Nuh (alayhis salaam) comes and says, ‘In this maqam of sir (secret),’ because all the prophets are under Sayyidina Muhammad (sallallahu alayhi wa sallam). So Prophet (sallallahu alayhi wa sallam) going to teach you about Sayyidina Nuh (alayhis salaam); the ship he was building, this is the maqam of faith. You want faith; you want to build your ship? You’re going to be tested. None of that going to benefit you if you are not from the people of hamd: “Alhamdulillahi Rabb al-‘Aalameen“. So means your whole life is in making hamd. Glory was subhan: ‘Subhan al ladhee bi yadihi’, Allah ‘Azza wa Jal even in Surat al-Yaseen. ‘Glory be to the Hand that carries all the mulk‘. Then the angels inspire in the sir (second station) that: come and now live a life of hamd, that everything is a hamd, every moment of your life, praise Allah ‘Azza wa Jal; Alhamdulillah, and that even goes deeper. If you praise Allah ‘Azza wa Jal living a life of continuous praise, continuous praise; so they carry with themselves a tasbih to continuously praise Allah ‘Azza wa Jal. You want to be from that reality, you want the maqam of iman (station of Faith) to begin to open, because now all connected: it’s like a science course. Praise; make hamd. “Allah and His angels send blessings upon the Prophet [Muhammad (saws)], the rest Allah doesn’t care for; ‘I don’t care if you follow it, you don’t follow it’. But the most praise in all of malakut is the reality of Sayyidina Muhammad (sallallahu alayhi wa sallam). So then they even clarify: you want hamd, you want to make hamd? The best hamd is praise upon Sayyidina Muhammad (sallalalhu alayhi wa sallam) because they want to perfect your aqidah (belief). If you think that you are only going to praise Allah ‘Azza wa Jal, ‘Allah, Allah, Allah, Allah, Allah, Allah,‘ What is the difference between you and shaitan? Shaitan accepted only Allah and said, ‘I don’t care for this Adam and what he is bringing’. Oh-oh, that’s big guhunnah (sin)! Adam was bringing the light of Sayyidina Muhammad (sallallahu alayhi wa sallam). So Allah wants to perfect the character, ‘Even I’m going to perfect [your zikr/remembrance]. Don’t mention Me without mentioning Sayyiduna Muhammad (sallallahu alayhi wa sallam). So when you praise upon Sayyidina Muhammad (sallallahu alayhi wa sallam), the salawat on Prophet (sallallahu alayhi wa sallam) is what- Allahumma salli ‘ala Sayyiduna Muhammad. Allah ‘Azza wa Jal says. 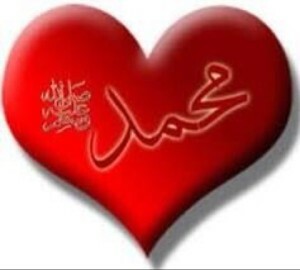 ‘You want My Love, follow Prophet (sallallahu alayhi wa sallam)‘. How you can follow Prophet (sallallahu alayhi wa sallam) if you are not continuously making salawat on Prophet (sallallahu alayhi wa sallam)? That is the hamd of the most hamd of all the malakut! That Allah gave you a heart to make your mi’raj, to make your buraq into the heart of Prophet (sallallahu alayhi wa sallam). So now in “Alhamdulillahi Rabbil ‘Alameen” (Holy Quran, 1:2), Alhamdulillah, every praise Allah ‘Azza wa Jal is going to be teaching that, ‘Keep praising upon Me, praise upon Me, praise upon Sayyidina Muhammad (sallallahu alayhi wa sallam)’. Hamdan kamileen’ (Praise of the Perfected ones). Allah is clarifying: the hamd of the kamileen, they are perfected. When they say, ‘Allah ‘Azza wa Jal’, there is no shaitan inside them. Allah ‘Azza wa Jal, that fragrance that they release, the angels immediately take to Allah ‘Azza wa Jal. If there is shaitan is inside somebody and they say ‘Allah’, it is coming with a dirty smell; the angels can’t approach. They can’t approach a dog; imagine a dirty heart. Then how Allah ‘Azza wa Jal want that praise to be perfected? Make salawat upon Prophet (sallallahu alayhi wa sallam); he is going to clean you. As soon as you say, ‘Allahumma salli ‘ala Sayyidina Muhammad wa ‘ala aali Sayyidina Muhammad’, that hamd of Allah ‘Azza wa Jal will now be interceded by Prophet (sallallahu alayhi wa sallam). Sayyiduna Muhammad (sallallahu alayhi wa sallam) immediately intercedes for that hamd, purifies, cleanses it and presents it to Allah ‘Azza wa Jal pure and purified. That’s why Allah ‘Azza wa Jal said, ‘Don’t come to Me alone; maybe you don’t know the shaitan has tainted your being’. But as soon as you praise upon Sayyidina Muhammad (sallallahu alayhi wa sallam), his existence is the intercession. Ya Rabbi, labbaik! You said tabi’ooni. Everything I’m mentioning through Prophet (sallallahu alayhi wa sallam). And Allah’s promise is what- that ‘I’m going to love you. And then I’m Ghafoor as-Raheem, I’m going to forgive everything; everything about you’. Means every hamd (praise) you make will be purified and sent into Divinely Presence. Every salah (daily prayer) you make, why in your salah is continuously mentioning Sayyiduna Muhammad (sallallahu alayhi wa sallam)? You have to mention Prophet (sallallahu alayhi wa sallam)’s name in the adhaan because Allah ‘Azza wa Jal won’t even care for you if you don’t call the adhaan with Prophet (sallallahu alayhi wa sallam)‘s name. In the salah, before the salah is finished, you have to say ‘Assalamu alaika ayyu han Nabi’  (Peace be upon you O Prophet) in present tense; means you are facing Prophet (sallallahu alayhi wa sallam) in the salah  and Allah ‘Azza wa Jal has you making salah in the name of Sayyidina Ahmad احمد (alayhis salaam). You have a Alifا , a Ha ح, a  Meem م  and a Daal د . So Alhamdulillah, they’re describing everything. Everywhere you look is going to be the signs of Prophet (sallallahu alayhi wa sallam). If you use that love of Prophet (sallallahu alayhi wa sallam), he will cleanse your salah, he will cleanse you du’a, he will cleanse (alayhis salaatus salaam) your zikr; everything will be purified because Prophet (sallallahu alayhi wa sallam)’s pure, and be taken up. That’s why hadith of Prophet (sallallahu alayhi wa sallam) that, ‘I look to the action of my nation. If it’s good, I say ‘Alhamdulillah‘. If it’s bad, I intercede for that amal‘. Means continuously Prophet (sallallahu alayhi wa sallam) is interceding, cleansing, purifying and bringing  to Divinely Presence. So SubhanAllah at Qalb [points to left of chest], Alhamdulillah at Sir [points to right of chest]; then if we can reach into the heart of Prophet (sallallahu alayhi wa sallam) at sir-as-sir. The Station of  sir-as-sir is where the Naqshbandiyat al-Aliya starts their station. They start from the sir-as-sir and they enter into the oceans of La ilaha illallah. 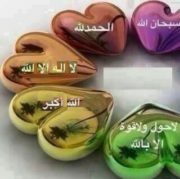 Means La ilaha illallah, the angel at that maqam is beginning to teach the heart that: in this maqam is complete tawhid. Everything is coming from Allah ‘Azza wa Jal. Everything is coming from Allah ‘Azza wa Jal. When you make zikr of La ilaha illallah, that Allah’s Hand is in everything. [This is what we talked about in Surat al-Fatiha: “Iyyaka na’budu wa iyyaka n’asta’een”]. What to be angry with? What to be disturbed with? 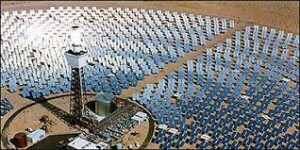 The sir-sir is the maqam of light, is the ‘alam al mithal, is the world of malakut (heavens). And they teach that: in this world of malakut, everything is in submission to Allah ‘Azza wa Jal. 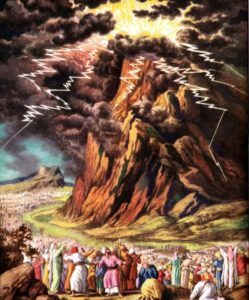 This world of mulk (earth) is in flux and fighting. Means that if your soul begin to enter into that reality of La ilaha illallah, that every decree is coming from Allah ‘Azza wa Jal, your soul accepts everything but it doesn’t mean when you come back into mulk it’s going to be easy for you. The soul says to everything ‘Labbaik, labbaik ya Rabb’; whatever the order been given to you in that association ‘Labbaik‘ (I am at your Service); whatever Prophet (sallallahu alayhi wa salaam) ordered for you ‘Labbaik‘. Soul is in complete submission that everything is in submission in malakut. Nothing is in disobedience. Then there is deeper into La ilaha illallah, but you can’t say that. But in mulk, as soon as you come back with that order into the world of mulk, everything is in confusion because it’s very difficult to apply into the world. If in that association they tell you something, in this world it is very difficult to complete it and become a lot of difficulties. So means Companions, whatever they went through, whatever their orders were given in malakut, Alhamdulillah; but when they came into mulk, they were all over. Awliya, if you’ve ever accompanied awliya and their families, same thing: whatever was in malakut, no problem; you came into mulk, we got a problem ’cause the mulk is going to be the area of confusion. So means then they begin to teach: La ilaha illallah, La ilaha illallah,, La ilaha illallah,, there’s nothing but Allah ‘Azza wa Jal, nothing but Allah ‘Azza wa Jal, tasleem,(submit): “sallu alayhi wa sallimu tasleem“. They say, ‘No shaykh, say ‘tasleema‘.’ No, tasleema is the beauty that you get only if you tasleem. You don’t have tasleema if you’re not in tasleem; you have no peace if you ae not submitting. Your life will be continuously all over the place. So they begin to teach that haqqa’iq that: La ilaha illallah,, La ilaha illallah. That zikr of La ilaha illallah, that is why then they bring it to the La [gestures to head], into the head, ilaha [gestures to right of chest], illa-Llah [gestures to left of chest]. This head is not understanding ‘alam al-mithal. Means now where we are going into that reality, the head doesn’t understand it. That’s why you can’t talk to people that are not from that reality. You can’t take what you hear here and go home and tell, and try to teach your mom and dad. They are not from that reality and you are going to confuse them; or teach your cousins or find someone you know, or somebody you don’t even know, and ‘Ah, you want to tell me, you go like this and go like that’; they tie you up and throw you out. They going to teach you that: these realities is not for everybody. They have to have that, that, that dress and a permission from Allah ‘Azza wa Jal that had given to them; and begin to open that reality: la – no head. The head won’t understand these realities. If everything you’re going to try to debate it and understand it and ask questions, your head will never make it; you will be confused and you walk away. It’s not for you. So then La ilaha illa: there is a reality on ilaha illallah [gestures from right to left of chest]; nothing but Allah, Allah, Allah. Then they can go deeper into that. We can’t say it now because even the La ilaha iillallah, will go deeper. That the reality of that lam alif is what we are trying to achieve. Then they take us to the khafa (Fourth Station), point of the heart and the zikr for the khafa: La ilaha illallah, Allahu Akbar. 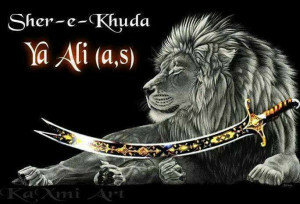 In the khafa reality, zikr Allahu Akbar because the oceans of tawhid, when they enter into Allahu Akbar it is Imam ‘Ali (alayhis salaam) of the Companions at the khafa. That now you are about to enter into the presence of Prophet (sallallahu alayhi wa sallam) is the next stage, Akhfa (Fifth station). You want to go into that presence, then we have a Zulfiqar beause they just taught you in La ilaha illallah,, this Zulfiqar has to come. It has to; that you can’t go there with this ‘aqal [Shaykh points to head]. You can only enter into that presence with this heart: Allahu Akbar. When they begin to teach the zikr of Allahu Akbar, it extinguishes everything. Mawlana Shaykh even was teaching that if you see a fire and if you are in danger, as soon as you scream ‘Allahu Akbar!’, Allah Supreme, means ‘Izzatullah can come to reduce that difficulty. When they make zikr of Allahu Akbar, it means, ‘Every badness in me ya Rabbi and that how shaitan is still trying to attack me, to bother me, to make me to be dirty’, you need Allah ‘Azza wa Jal‘s Akbar. Means Allah ‘Azza wa Jal come and begin to destroy every falsehood, every incorrection, everything that shaitan trying to do; and Allah ‘Azza wa Jal then is describing, ‘From what you understood of these realities, Ana al Akbar; I am still beyond your imaginations’. What you are now about to go into the akhfa reality, Allah ‘Azza wa Jal clarifying: ‘Ana Al Akbar’. Means everything they’re going to be bestowed upon you with the best of character is you continuously say ‘Allahu Akbar’; because the salah was from who? It was not about us. The salah was not for me and you. 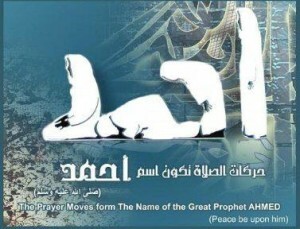 The salah was for Prophet (sallallahu alayhi wa sallam). He was taught that salah, a way in which to pray to Allah ‘Azza wa Jal. So then why at every station was ‘Allahu Akbar’? Because the respect that what Prophet (sallallahu alayhi wa sallam) was seeing of realities, of dresses, of what Allah ‘Azza wa Jal had bestowed upon him, the only word that would be sufficient is ‘Allahu Akbar’. But if you don’t say it, then as if you are becoming proud. So Prophet is teaching that: whatever Allah bestowing upon you, continuously glorify Allah ‘Azza wa Jal with ‘Allahu Akbar (Allah is Great). Allahu Akbar’  that, ‘Ya Rabbi, whatever You bestowed is nothing, I’m nothing and You are continuously More Supreme. Nothing I can even ever imagine’. Otherwise you become fir’aun (Pharaoh); you think, ‘Oh, what I got is great, I’m so great, I’m great’. But our way is; no, no no, you deflate so Allah give you more. 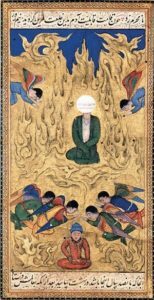 So even the salah which is the mi’raj for the believer, it’s every move is Akbar because in every move, in every movement there’s a tajalli and a witnessing. When they’re standing, what Allah ‘Azza wa Jal dressing them through their heart if they have a vision? When the ruku, what Allah ‘Azza wa Jal showing them? In their sajdah, what Allah ‘Azza wa Jal showing them? When they make sajdah, where are they making sajdah, for people whose hearts are open? So Prophet (sallallahu alayhi wa sallam) taught the best of manners: say ‘Allahu Akbar’. Whatever Allah ‘Azza wa Jal is showing your soul’s movement into these realities, continuously say ‘Allahu Akbar’, that Allah’s More Supreme. And Allah’s Answer: ‘Ana Al-Akbar, I’m even More Supreme than what you can imagine’, so that the journey continues eternally. ‘Take the hand of Sayyidina Muhammad (sallallahu alayhi wa sallam)’. Every hawla and every quwwa will be reaching to your hand because it’s on the hand of Prophet (sallallahu alayhi wa sallam). And Allah ‘Azza wa Jal  is describing: ‘My Hand upon the hand of Sayyiduna Muhammad (sallallahu alayhi wa sallam). You want My Hand in your life, means you want quwwa, you want My Power, you want My Madad, you want My Support’, it’s not coming to everyone; it has to have tawhid, has to have La ilaha illallah Muhammadun RasulAllah. It’s always perfect in shari’a (Islamic Jurisprudence). It’s the perfection of shari’a. Tariqa never goes outside of shari’a; they just don’t understand shari’a because everything is tawhid. If you don’t have and you say everybody can reach to Allah’s Quwwa, it’s a free ocean like a Turkish bazaar, well how would you have tawhid? And why would anybody come to La ilaha illallah Muhammadun RasulAllah? Allah ‘Azza wa Jal saying, ‘Don’t, no. 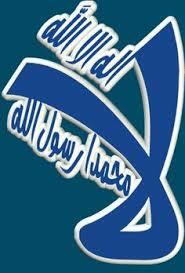 You can never reach La ilaha illallah unless you come to Muhammadun RasulAllah (sallallahu alayhi wa sallam)‘. This is the perfect in oneness. By taking the hand of Prophet (sallallahu alayhi wa sallam) you are now reaching Allah’s ‘Izza: ‘Izzatullah, ‘izzat ar-Rasul wa ‘izzat al-mu’mineen.